Weekend tubing includes ride to drop off point for an approximate 3.5 hour float back to the campground. Tubing is now taking credit cards for tubing, not keys and drivers licenses. $15.00 per tube/per person/per day, Friday-Sunday. Price includes Shuttle to Tubing Drop site. 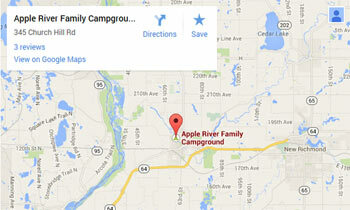 The approximate tubing ride is 3.5 hours to the campground. Tubing is now taking credit cards for tubing, not keys and drivers licenses. There is a $20.00 deposit for each tube rental, when tube is returned you receive your deposit back. Parking fee - campers first vehicle free additional vehicles $5/night , Tubers $5 per vehicle. $13.00 per tube/per person/per day, Monday-Thursday. Price includes Shuttle to Tubing Drop site. The approximate tubing ride is 3.5 hours to the campground. Tubing is now taking credit cards for tubing, not keys and drivers licenses. There is a $20.00 deposit for each tube rental, when tube is returned you receive your deposit back. Parking fee - campers first vehicle free additional vehicles $5/night , Tubers $5 per vehicle.